Anyone who grew up in the eighties will remember Jan-Michael Vincent. This American actor was one famous for starring in hit TV show Airwolf, playing the role of Stringfellow Hawke. Millions of teenage boys wanted to be him and millions of girls wanted to marry him. The peak of his fame was between 1984 and 1986. He continued to appear in movies and TV shows after that but never managed to recapture the same level of success. He retired from acting in 2004. Jan has enjoyed a great deal of success in his life, but he has also struggled due to a long history of alcoholism. 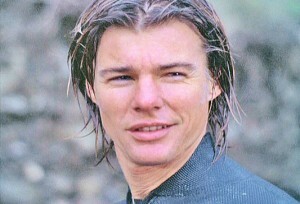 He did not look it, but Jan-Michael Vincent was already 40 years of age when he took on the role of Stringfellow Hawke and had been involved in acting for almost two decades. By 1968, he was appearing in popular US shows such as Dragnet and The Banana Splits. He continued to pick up noteworthy acting parts throughout the seventies, including appearing in the cult classic Big Wednesday, but it wasn’t until Airwolf that he really got to experience the big time. He was paid $200,000 per episode which was the most received by any actor on TV at the time – there were 79 episodes in all. After Airwolf, he was only able to find work in low budget shows and movies with the exception of a few hits such as Buffalo ’66 and Redline. Jan admits to dealing with an alcohol problem for much of his life. His alcoholism first became public in 1983 when he went to rehab after begin caught drink driving. Around the time of filming Airwolf, he was involved in a couple of bar fights and almost ended up in prison after he was accused of causing injury to a woman. In the nineties, he was involved in a number of incidences, including drink driving, and was accused of domestic abuse by his girlfriend. In 2000, he served 60 days in jail for assaulting his girlfriend and being caught drunk in public on numerous occasions. In 2012, his lower left leg had to be amputated due to a blood infection. Jan-Michael Vincent is now 70 years of age and has been struggling with an alcohol addiction for at least three decades – although it is likely to date back much further than this. In a recent interview with The National Enquirer, he said that he is now sober but did not want to say how long he had been sober for – he says this information was not important. He did say that he now wants to inspire people to overcome addiction just as he once inspired them to be a hero like Stringfellow Hawke. People are never too old to escape alcoholism and Jan-Michael Vincent is a great example of why this is the case. Every sober day is a gift to somebody who has been an alcoholic, and even somebody who is in his or her seventies can enjoy many years of sobriety. Getting sober means starting a new adventure in life, while remaining alcoholic just means more of the same and a continued decline. Some will say that Jan-Michael Vincent is lucky to have this chance of sobriety – after all, he has beaten the odds to still be alive after so many years of alcoholism. The reality is that sobriety is always a gift, and any person who manages to build a sober life is part of the ‘lucky few’ as so many do not ever manage long-term recovery.